Fred Ritchin is Dean of the School at the International Center of Photography, and author of three books on the future of imaging, including Bending the Frame: Photojournalism, Documentary, and the Citizen (Aperture, 2013). His most recent book, Magnum Photobook: The Catalogue Raisonné, co-authored with Carole Naggar, was published this month by Phaidon. Having spent considerable time in 2016 researching his newest publication, Magnum Photobook: The Catalogue Raisonné, the photobooks that had the most impact on Fred Ritchin in 2016 were historical titles as opposed to contemporary publications. Photo-eye is proud to publish Ritchin’s insight, however we wanted to make clear to the viewer that these are indeed older publications and that they have not been re-published in 2016. Death in the Making. 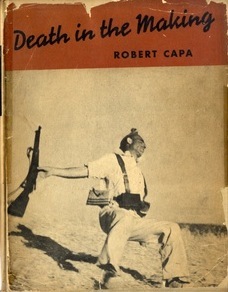 By Robert Capa. Berlin. By Pierre Mac Orlan. A small volume, this collection of photographs limns the rise of Nazism in Berlin in a collection of idiosyncratic, uncredited black-and-white photographs that are juxtaposed, at times to searing effect. There are people exercising on a roof, soldiers marching, women waving, leaders looking serious, people putting on gas masks, a film star posing, all in an atmosphere that has more than a bit of the carnival about it. As evil emerges, at first appearing a bit frivolous, its ultimate devastation becomes all the more biting, and resonates with our current circumstances. 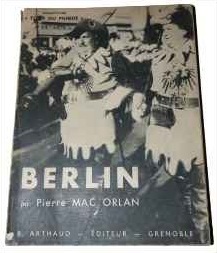 Most copies of the book are said to have been destroyed due to fear of serious repercussions from the Nazi government. Thanks to Matthew Carson of the International Center of Photography library for pointing this book out to me and to others. 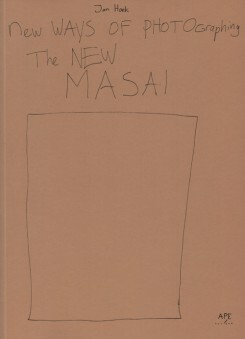 New Ways of Photographing the New Masai . By Jan Hoek. An extraordinarily funny and smart foray into collaborating with one’s subjects, in this case urban Masai, and allowing them to choose how they want to be photographed, which photographs are best, and then asking a group to vote for those that are most representative of all of them. The Dutch photographer was interested in breaking the outmoded pictorial stereotype of the Masai as people jumping in unison wearing tribal costumes, and instead wanted to represent them as they want to be represented today: as people with specific tastes (no nudes, not lazy) and with idiosyncratic interests (photograph me as a spider, on a silver car). The handwritten text makes it seem part family album, part manifesto. A joy to find a photographer so eager to share the power.